First of all, f**k you very much. I happened to see your Tweets hating on Walmart employees and sucking corporate Walmart’s c**k so I thought I’d get in touch and tell you what a f**kstick you are. I work at Walmart because there aren’t very many options. If there was something else for me to do I’d do it, but Walmart comes in and eats up all of the other jobs and leaves you no choice. I have no problem admitting that I put very little effort into my job because I have ZERO incentive. The pay is sh*t. You’re treated like sh*t. I have to supplement my income by being on government assistance because the corporation I work for would rather buy PRIVATE JETS for its CEO then provide a DECENT WAGE to its employees. Awesome! Thanks Walmart! Its hilarious that you feel superior to Walmart employees when I have MORE EDUCATION THAN YOU and am more skilled than you. Instead of worshipping greedy corporations like Walmart why don’t you write something exposing the fact that Walmart exploits tax loopholes and refuses to pay its employees a liveable wage? Hey you always like to talk about how much you love families… well why don’t you put pressure on Walmart to pay its employees enough so we can start families and support them? I would marry my girlfriend if I had the financial means instead of these poverty wages. Why don’t you write a blog post about that? Oh but that doesn’t fit into your whole act I guess, does it? F**k Walmart and f**k Matt Walsh. Hi. Can I call you Bob? The name you gave me is kind of a mouthful. Thank you for your insightful reflections, Bob. You raise some interesting points, yet I can’t help but feel slightly confused by your hatred for one of the only organizations in the world that would actually pay a salary to someone like you. I don’t know much about the CEO of your company, Doug McMillon, but a quick Google search tells me he’s a relatively young man who started at Walmart as a seasonal employee in one their distribution warehouses. 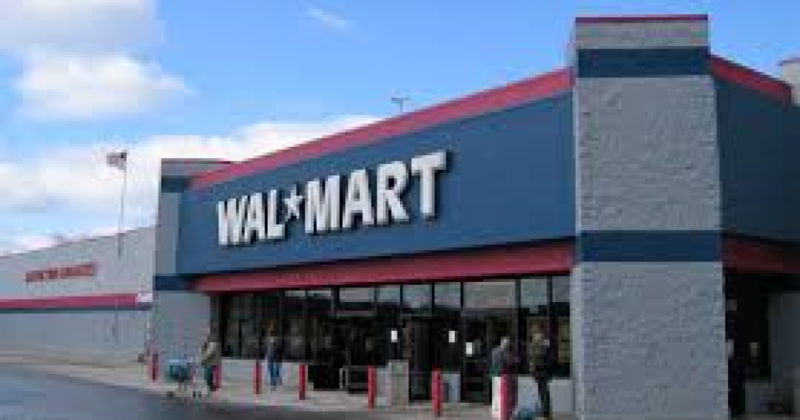 Now, I’m not saying that you can become the Big Cheese of Walmart one day, but I am saying that you work for a company with lots of money, lots of different kinds of available positions, and lots of opportunities for advancement. An ambitious person would take advantage of that fact. A small, pathetic person would sit on the bottom of the food chain and wallow in envy as better men and women surpass him. What kind of person would you like to be? Oh, but this is all a pipe dream, isn’t it? Fine, prove me wrong, Bob. Go to work for the next, say, six months, and absolutely pour your heart and soul into your admittedly minor duties. Go in there clean shaven, shirt tucked in, eager and willing to work. Take on extra hours when you can. Fill in for people when they’re sick. Contribute during staff meetings. Smile at customers. Just do these extraordinarily basic things for a few months and then come back and tell me what sort of promotion you’ve been offered — because I guarantee they’ll offer you one. The great thing about working retail or fast food is that it’s exceedingly easy to separate yourself from the pack. I was almost always an assistant manager or shift leader at all of my customer service jobs as a teenager, purely because I came to work sober, I rarely called out, and I displayed a moderate level of competency. What I’m saying, Bob, is that you are currently at the bottom only because you choose to be there. Sorry. That will never happen. Well, unless you get a job in government. But Walmart is at least paying you something — and something is infinitely more than you appear to deserve right now. Of course, Walmart isn’t the be all and end all, Bob. You say that “there aren’t very many options” and “Walmart eats up all the jobs,” but have you ever actually, you know, looked? I take it from your email that you have a college degree (which doesn’t necessarily make you more educated than me, or even more educated than your average woodland squirrel, but that’s beside the point) and, although you wish to start a family, you are currently unmarried and without any dependents? If this is true, then you’re golden, Bob. For goodness sake, man, you can go anywhere and do anything. No jobs? NO JOBS? Are you kidding me? That’s crazy talk. I suspect that by “no jobs” you mean “no jobs that will send a recruiter to my front door, hand me an enormous salary to do nothing, and physically pick me up and carry me to the office every day.” Yes, that kind of job might not exist (again, unless you work for the government) but that still leaves, like, thousands and thousands of other options.